You may have found yourself out of ideas when starting a new article, or you may have wondered if your new article was going to interest your audience. To write content that will work, you first have to ask yourself a few questions. What do your readers expect from your blog ? What type of content do they like ? 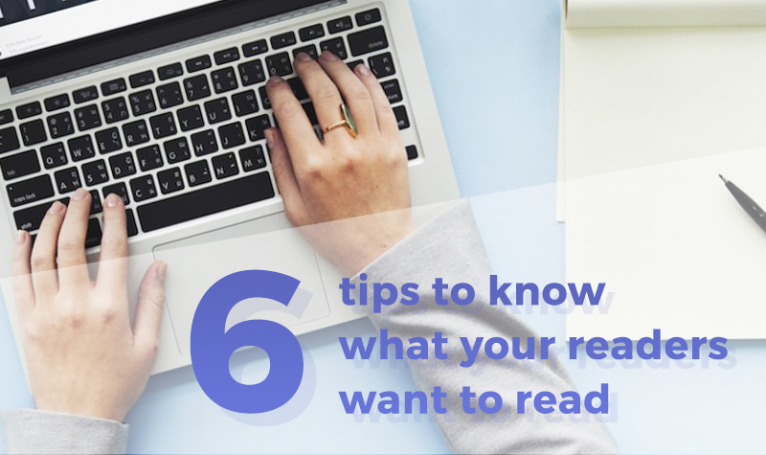 With those few tips you will be able to know what your audience wants to read before they even do. By finding out what’s trending, you may find ideas for new articles that will interest your readers. With Google Trends, you will easily find what’s trending within your niche. There are also other tools that you can use like Nuzzel, a tool that will gather the links shared by your Facebook friends and your Twitter followers and display them by most recent or most shared. This way you can see what content is currently performing best and what topics the readers want to read about right now. To find new article ideas, your blog metrics can be a huge help. For example, you can determine the keywords your readers use to find your blog. 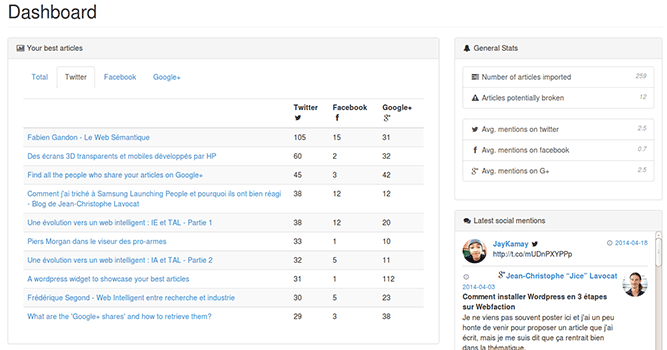 This way you will be able to know what they want to read about and to work on new contents related to those keywords. There are a lot of keyword tools online that can help you : here is an article on ” How to use the Google Keyword Planner ” and another one on ” How to Easily Find the Best Keywords to Write About (and How to Activate Them) “. 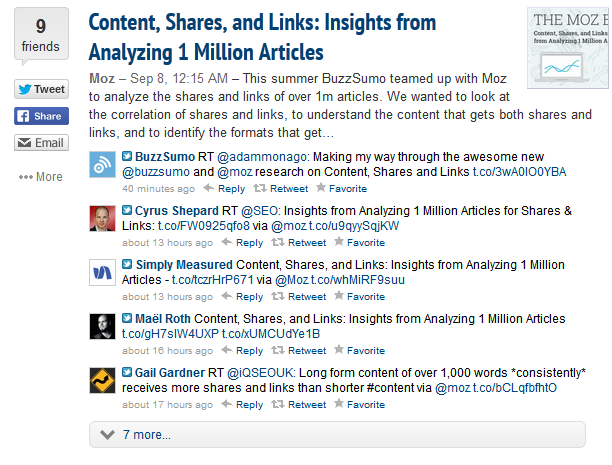 You can also know what your readers want to read about by analyzing their behaviour on your blog. What articles have they liked, commented or shared ? Those statistics are a way to know what your audience is interested in and, from those datas, you will also be able to determine what format or what kind of article titles most resonate with them. Those metrics will help you find patterns in your readers behaviours that will guide you to find more interesting and attractive contents for them. Your competitors are not all bad! You can easily analyze what your top competitors are doing right and use it to improve your blog. Know what topics worked best for them, the same type of content will likely work for you. You may even find a new angle or write a better article on the subject! In my previous post, I talked about the importance of defining your readers personas and how it could help you improve your content. By knowing your readers, their behaviours and their issues, you will be able to create helpful and interesting content. Their problems and their line of work might help you understand them better and inspire you new articles ideas. A more sure way to know what your audience wants to read is to ask them directly! There are a few ways that you can do so. You can drop a question at the end of your article for them to answer in the comment section or you can send them a survey. You can also engage the conversation, either in the comment section, or on social medias. This way, you will have a direct feedback from your audience. The success of your blog depends mainly on your audience. No matter how good your content is, it has no point if it doesn’t interest your readers. Those few tips will help you find great content ideas. It may even save you a few hours of dead-end researches and you will quickly have more shares and feedback from your readers.